Right off the nose, at 128.2 proof, you can tell this bourbon means business. Alternating between the pours, the barrel proof provides almost a euphoric sense of smell in comparison to the 93 proof version. The ~30 proof difference translates equally if not more noticeable from nose to taste. As smooth & enjoyable as the 90 proof is, the flavors really come to life at barrel proof…it essentially screams at you, enticing a feeling similar to Mike Gundy – “I’M A MAN!! !” <https://youtu.be/RjF93E4LjlA>, encouraging you to embrace the heat it brings while also finding how much more pronounced the flavorings are. For every trace or hint of flavoring in U.S. version, they are present & accounted for in the barrel proof. The finish continues this ‘more-pronounced’ trend: very strong, somewhat thick flavor, the burn is still present although not overbearing by any means & the bursts of flavor continue to linger even after the sip has long made its way down. 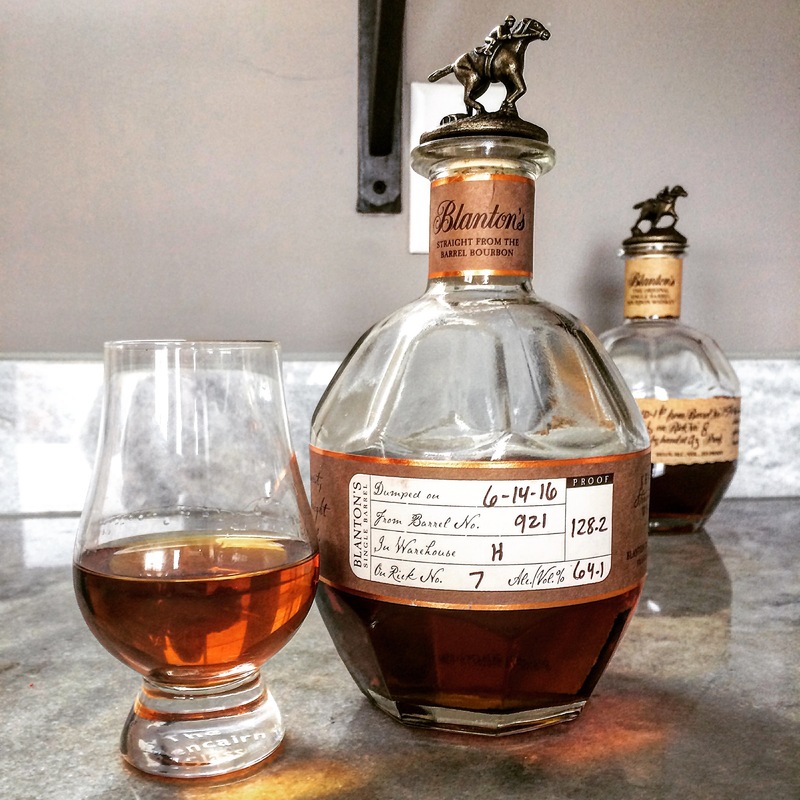 All that being said, Blanton’s Single Barrel (or Elmer T Lee) are always a great bottle for the price, however, it would be nice to see this un-cut version available here in the good ole US of A.